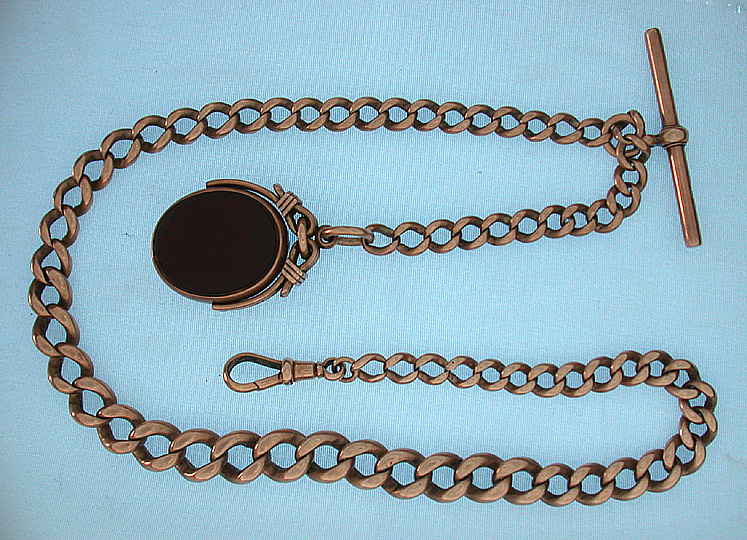 Fine English 9K red gold antique pocket watch chain circa 1890. 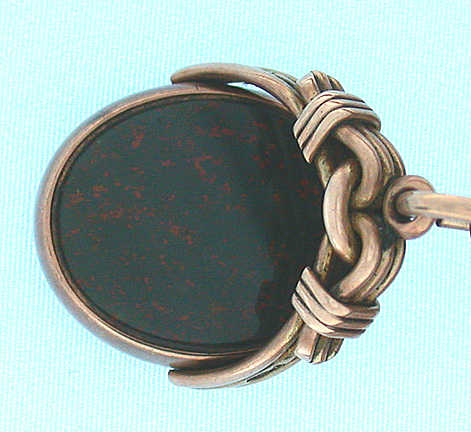 Tapered like chain with "T" bar and uncut swivel seal, one side bloodstone and one side onyx. Weight 44.4 dtw, 19 inches long.